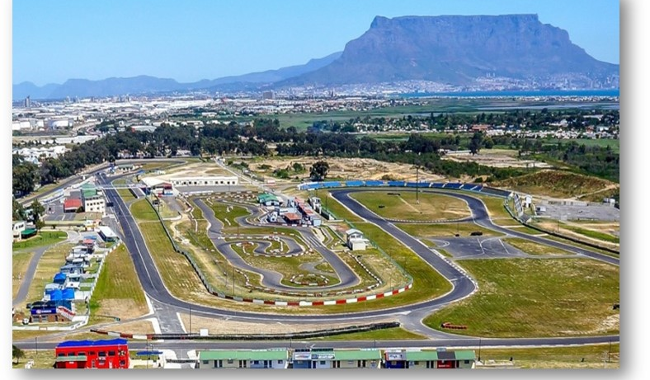 Cape Town’s Killarney International Raceway made history in November 2017 when it hosted the first FIA World Rallycross (WRX) event ever staged in Africa. Behind the scenes, and over many months ahead of the much-anticipated championship, the logistics challenges of bringing this thrilling global racing series to South Africa were proficiently managed by the UK-based Woodland Group and its South African partner Imperial Logistics. “Woodland Group is the official logistics partner to the FIA World Rallycross Championship, and we are proud to have forged a long-standing, close working relationship with the organisation, and to have been able to play a role in the success of last year’s landmark WRX event in Cape Town,” comments Imperial Logistics chief strategy officer Cobus Rossouw. He reveals that the first WRX project on which Woodland collaborated with Imperial Logistics was early in 2017, when a test car and spares were sent to Cape Town by the championship organisers. “As Woodland’s South African partner, Imperial Sasfin Logistics ensured successful customs clearance against an ATA Carnet Des Passage for the test car and spares. This is a special international customs document which covers the temporary admission of motor vehicles in certain countries. A Carnet de Passages is basically like a passport for a vehicle to enter multiple countries for temporary importation without having to pay the duty and taxes,” he explains. The containers were discharged at the Cape Town Deep Sea Terminal and promptly placed at the SA Container Depot for storage since the racing teams were not allowed access to their cars before 12h30 on Wednesday, 8 November. “This gave us just two days, Monday, 6 November and Tuesday, 7 November, to place the containers on site and conduct the required customs inspections against the Carnets documents,” Rossouw states. Imperial Sasfin Logistics rose to the challenge, and this process was completed in the time set aside. “By Thursday, 9 November, all 39 Carnets were successfully signed off by SARS, legalising the import,” he expands. “We look forward to working with Woodland again to handle WRX’s clearing and logistics in South Africa. Following the success of last year’s inaugural event in Cape Town, Killarney Raceway has again been selected to host the WRX final in November 2018. We foresee Imperial Logistics’ partnership with Woodland Group and our contribution to this exciting sport going from strength to strength,” Rossouw concludes.